A thick layer of frost blankets the landscape, creating a gauzy haze over the tans and pale greens of the Ethiopian Highlands. Amidst the frozen stillness, a rust-colored lump dusted in rime stirs. A black nose appears from beneath a thick tail, and two ears twitch atop an elegantly long head. At last, the wolf rises, arches its back in a long stretch, and shakes. Nearby, several other pack members rise as well, touching noses in greeting. Pups, just weeks old, emerge from a shallow den and begin playing, scrambling over rocks, tugging at each other’s tails. As the sky brightens, the adults trot off to patrol the edge of the group’s territory and begin the day’s hunt. ), most plants here hug the ground, and many of the animals go a step further, seeking shelter below the surface. Burrowing rodents are some of the most abundant wildlife on the highlands. In some places, the ground practically simmers with small, scampering animals. It’s no wonder, then, that the region’s top predator would have become a small-mammal specialist. Descended from gray wolf ancestors that arrived on the highlands from Eurasia around 100,000 years ago, and marooned on these Afroalpine “islands,” the wolves here have adapted to their new niche. They evolved to become smaller and leaner, with long snouts perfectly suited for snatching giant mole rats retreating into their burrows. Their coloring shifted to a rusty golden hue to blend in with the summer ground cover. 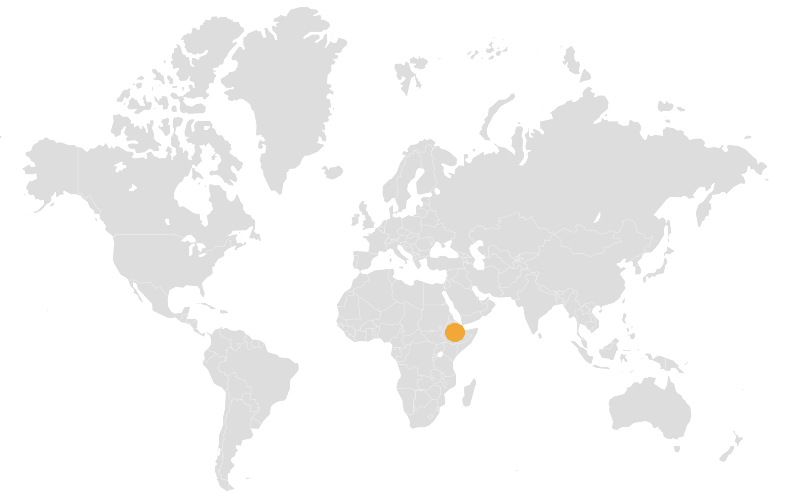 Descended from gray wolves, Ethiopian wolves have adapted to life in the Ethiopian Highlands. Although they are solitary hunters, Ethiopian wolves have retained many of the social behaviors of their ancestors. Big-headed mole rats (Tachyoryctes macrocephalus), like this individual peeking out of its burrow in the Bale Mountains, are a favorite prey species of the Ethiopian wolf. While the small size of their prey necessitates a solo hunting strategy, Ethiopian wolves have retained many of their ancestors’ behaviors, including their complex social structures; they live in tight-knit family groups, each made up of a dominant breeding pair and subordinates that help to raise the young and defend territories. Within these groups, there is a clear hierarchy reinforced by regular, ritualized greetings. Highly adapted though they are, Ethiopian wolves are struggling to survive. There are currently only about 500 left in the world, distributed among six isolated populations, all on the highlands, and that number has fluctuated dramatically in recent years. The Bale Mountains in the southeast is home to the largest of the six populations, with around 250 individuals living in multiple family packs. This is where researchers at the non-profit Ethiopian Wolf Conservation Program (EWCP) have focused most of their efforts to learn about the wolves and the threats they face, and to try to protect the species from extinction. While Ethiopian wolves have persisted on these Afroalpine mountains for millennia, scientists and conservationists are rightly concerned about their future. Yes, the carnivores are at the top of the food chain, they face little persecution from humans, and their prey is relatively abundant. Yet, despite these advantages, researchers who have spent decades studying these charismatic animals and who know them best have witnessed the species’ precarious wobble between existence and demise here on the “Roof of Africa.” Now they’re doing everything in their power to ensure the wolves’ survival. This is the middle paragraphs text block. It breaks up the image grids. This should be multiple paragraphs long. Aliquam efficitur, nibh elementum convallis eleifend, nisi magna interdum eros, in dictum neque nulla at purus. Fusce nec neque a metus placerat accumsan. Aliquam erat volutpat. Nullam ornare nunc in bibendum dapibus. Etiam quis leo id lorem condimentum pulvinar. Vestibulum ante ipsum primis in faucibus orci luctus et ultrices posuere cubilia Curae; Nullam laoreet ut est ac lacinia. Maecenas iaculis rhoncus lacus at viverra. Curabitur semper odio sit amet dui pellentesque, nec finibus velit rhoncus. Cras id facilisis turpis, in aliquam quam. Vestibulum enim mi, euismod non interdum ullamcorper, tincidunt at sem. Curabitur risus nisi, placerat commodo nisi et, molestie facilisis metus. Phasellus mauris diam, convallis at interdum a, euismod et lorem. Nulla mattis augue a ex sodales laoreet. Integer aliquet risus sit amet lorem dapibus scelerisque. the Bale Mountains of Ethiopia. An Ethiopian wolf pup looks out from a high perch in the Bale Mountains. Many threats have come together to push the wolves into their current unsteady circumstances, but three in particular are most pressing. Direct human encroachment on the wolves’ habitat is the most obvious of these threats. Ethiopia currently has the fastest-growing human population in Africa and this is increasingly pushing people deeper into wolf territory as they seek out land for their farms and livestock. The increased human activity drives wolves into hiding during the day, affecting the time that they can spend hunting and increasing physiological stress. An increase in the number of people in an area also means a rise in the number of grazing animals. Overgrazing and soil compaction by herds of livestock can degrade the fragile highland habitat and reduce prey availability. “In optimal habitat, packs are large, typically with six adult and subadult wolves, but as many as 18,” says Jorgelina Marino, EWCP’s science director. And this doesn’t include the pups born to the pack’s dominant female in any given year. “In less productive areas, which have less prey, and in areas where wolves are disturbed, packs are as small as two to three wolves, plus [that year’s] pups if they breed,” she says. The settlement of people and disease-carrying domestic dogs in the highlands poses several threats to the few remaining Ethiopian wolf populations. Livestock and the habitat degradation they cause have greatly reduced prey populations and put pressure on the few remaining Ethiopian wolf populations. A wolf digs to expand a burrow while another adult looks on. This increasing human encroachment is a major concern for Marino and other wolf scientists. However, along with the people and their livestock comes a third and more troubling threat: disease, especially rabies and canine distemper virus (CDV). Both of these diseases are relatively well controlled in most developed nations. But in many developing countries, where even human health is underfunded, systematic vaccination programs for animal diseases simply don’t exist. Domestic and feral dogs are frequent carriers of rabies and distemper and can, in turn, pass these diseases on to wild animals. In the highlands, the dogs of herders are semi-feral, used more as an alarm system against leopards and spotted hyenas than as shepherds. They are not spayed or neutered, nor vaccinated, and they are left to their own devices to find food and water. That means they head out to hunt the same rodent prey as the wolves, bringing the two predators into contact with one another. Diseases like rabies and distemper are particularly problematic for highly social species like Ethiopian wolves. If one member of a pack comes into contact with infected dogs, or with the remains of infected animals, while out hunting, it can spread the disease to the rest of the pack in a matter of days. If that pack encounters wolves from other packs, the disease can spread quickly through the entire population. country’s population climbs and herders and farmers seek out new land. In 1991, conservation biologist Claudio Sillero was in the highlands studying Ethiopian wolves for his doctoral research when he witnessed the impact of a rabies outbreak. He found carcass after carcass, watching the majority of the animals he had studied die. He made it his mission to protect the species from extinction. In 1995, alongside Karen Laurenson, Sillero formed the Ethiopian Wolf Conservation Program. “It was very hard to see animals I had got to know so well perish to rabies,” says Sillero. “That convinced me that we had to do something about it. In 1994 we confirmed that the population had not recovered from the 1990-91 outbreak, and suspected CDV, which was reported in dogs. That was when we considered an intervention to vaccinate domestic dogs,” he says. Silero and colleagues began this effort the following year. Since that time, he and his team have worked in conjunction with several partners, including the Born Free Foundation, University of Oxford’s Wildlife Conservation Research Unit, and the Ethiopian Wildlife Conservation Authority, to get ahead of disease outbreaks and build a buffer between wolves and neighboring humans and domestic dogs. The Bale Mountain population has been hit by repeated rabies outbreaks over the past 30 years, including in 1991, 2003, 2008, and 2014. In the early 90s, the estimated wolf population was reduced from 440 to 160 in just a couple of years, underscoring the disease’s alarming potential to wipe out significant portions of the population in the blink of an eye. And in every outbreak, scientists confirmed that the wolves had contracted the disease from domestic dogs. Outbreaks of distemper in 2006, 2010, and 2015 in the Bale Mountains also took a significant toll. In 2010, one quarter of adult and subadult wolves in the region died from distemper. The loss of adults impacts a group’s ability to raise pups to adulthood. Only three of the 25 pups born to packs that researchers monitored during the 2010 breeding season survived to the subadult stage, representing just a 12 percent survival rate—a significant drop from the typical survival rate of 25 to 40 percent. In 2015, another distemper outbreak wiped out approximately half of the affected population. An adult Ethiopian wolf takes a break from stalking prey. The sun rises above giant lobelias (Lobelia rhyncopetalum) on the Ethiopian Highlands. A group of inquisitive children stands outside of a mud hut in the Bale Mountains of Ethiopia. Wolf populations are always subject to cyclical crashes and recovery periods as diseases hit and packs rebound. But if another outbreak strikes before a pack has had a chance to recover, it is more likely to wipe out the pack altogether. Scientists worry that the one-two punch of a rabies outbreak immediately followed by a distemper outbreak, like the combination that occurred in both 2010 and 2015, is exactly the scenario that could lead to extinction should it happen again. Fortunately, EWCP has been working to implement a vaccination program that will protect the wolves from disease outbreaks. Rabies has been effectively wiped out among domestic dogs in the United States, and distemper is also under control in most areas, so there is little doubt that a vaccination regime has the potential to pull the Ethiopian wolf back from the ledge of extinction. Putting that program into practice, however, is far easier said than done. The current vaccination effort is two-pronged, with the first focused on domestic dogs. The EWCP vaccinates an average of 5,000 domestic dogs annually in hopes of slowing the disease. In the past, villagers have been tentative about vaccinating their dogs, worrying that the immunizations might make the dogs lazy, more dependent on village resources, and less helpful as predator alarms. However, educational programs by EWCP have now successfully demonstrated to villagers that vaccinations keep their dogs healthier and therefore allow them to work more productively. Inoculating domestic dogs has also led to a drop in the number of rabies cases among humans and livestock—a pattern that local communities have started to see and appreciate first-hand. In villages where dogs have not been vaccinated, rabies affects roughly 14.3 percent of the community’s humans, livestock, and dogs. With vaccination, that figure drops to just 1.8 percent for livestock and dogs, and the risk to humans all but disappears. The EWCP’s educational campaigns not only boost support for rabies and distemper vaccinations, they also help local communities understand how stewardship of the entire ecosystem plays a key role in keeping the habitats on which they depend healthy and thriving. A cook fire glows inside a hut on the Ethiopian Highlands. A female Ethiopian wolf keeps close watch over her playful litter of pups. To date, EWCP has vaccinated more than 85,000 dogs. This effort provides a much needed buffer, but it isn’t a solution in and of itself. The population of dogs continues to grow, and new dogs are constantly introduced to the area as people move their herds around and new litters are born. Scientists know that preventing disease outbreaks will require vaccinating the wolves as well. In 2011, the EWCP team was given permission by the Ethiopian government to start a pilot program testing oral vaccinations for the wolves. They used a baiting strategy with an oral attenuated live vaccine, which has been used successfully in bait drops in the United States to eradicate rabies in coyote and raccoon populations, and in Europe among foxes. The protocol worked so well that they have used the same delivery vehicle for the past eight years. The vaccine is held within a packet hidden inside a hunk of goat meat; as a wolf bites down, the vaccine coats the mucus membranes in its mouth and is absorbed into the animal’s system. Once delivered, it provides immunity for at least three years, though Marino notes that immunity likely lasts longer. Team members on horseback distribute baits at night, an approach that minimizes stress on the wolves. Whenever a wolf takes the bait, a team member records the identity of the wolf and how much bait was consumed. During the initial pilot, the team trapped the wolves a few weeks later to find out what percentage of the pack had been vaccinated and thereby determine the efficacy of the strategy. The team learned that if they could vaccinate just 40 percent of a family pack for rabies, with a focus on immunizing the breeding male and female, they could boost the survival chances of the family pack by as much as 90 percent. Some members may still succumb to the disease, but the pack as a whole will persist and rebuild its numbers. Researchers from the Ethiopian Wolf Conservation Program work quickly to collect measurements and blood samples from a sedated wolf before its release. Claudio Sillero, the cofounder of the Ethiopian Wolf Conservation Project, covers a sedated female Ethiopian wolf with a blanket prior to her release. Researchers from the Ethiopian Wolf Conservation Program collect blood samples from captured wolves to test for antibodies to rabies. Before EWCP started its pilot vaccination study, a rabies outbreak would wipe out anywhere from 50 to 75 percent of the wolf population in the region. But the most recent outbreak in 2014 told a different story: Less than 10 percent of the region’s wolves were killed by the disease. The combination of a rapid on-the-ground response by the team to vaccinate as many wolves as possible when the outbreak struck, as well as previous vaccination efforts that had provided immunity for a subset of the wolves, mitigated the impact of the recent outbreak. In the wake of this powerful proof of concept, the Ethiopian government signed an agreement allowing EWCP to launch their first full-scale oral vaccine campaign in the summer of 2018. Aimed at all six remaining wolf populations, the program places a special focus on immunizing the breeding male and female of the family packs in each population. Moving from a pilot program tested over several years to a full-scale rabies vaccination campaign is a major milestone in the team’s 30-year effort to conserve the world’s most endangered canid. The newly launched oral vaccination plan will provide an even more robust buffer between the wolves and the catastrophically deadly disease that threatens their future. In an August 2018 announcement, EWCP noted that the first five wolf packs were vaccinated using the new strategy. “The SAG2 vaccine, successfully used to eradicate rabies from wild carnivore populations in Europe, now raises hopes for the survival of one of the rarest and most specialized carnivores in the world,” they wrote in the announcement. Over the next three years, the team will expand the vaccination campaign to all six wolf populations in Ethiopia, some of which number only a handful of individuals, enhancing their chances of survival in a changing world. Ethiopian wolves are like “greyhounds out of the starting blocks” as soon as they’re released, says photographer Will Burrard Lucas. Meanwhile, EWCP is also devising a plan for ending distemper outbreaks. Though an oral vaccination for canine distemper doesn’t exist, injectable vaccinations do. In 2016, a distemper vaccine for Ethiopian wolves was proven safe, but there is no room for error with such a critically endangered species. Extensive trials are still ongoing, and the team is currently expecting lab results that will help determine whether or not the distemper vaccination program will move forward. “Our expectation is that the government will allow CDV vaccinations in the future, at least in response to verified CDV epizootics among wolves,” says Marino. The presence of the Ethiopian wolf in the highlands is evidence of a healthy ecosystem, and the species is an ideal animal to act as an emblem for conservation in Ethiopia. An apex predator that is at once familiar and mysterious, the wolf is a compelling species with which many people feel a connection, as proven by the profoundly dedicated staff at EWCP. With the help and cooperation of local communities, the team will continue working to ensure that this elegant canid remains in its rightful place in the highlands indefinitely. UK-based wildlife photographer Will Burrard-Lucas spent part of his childhood in Tanzania where he developed a deep passion for African wildlife. 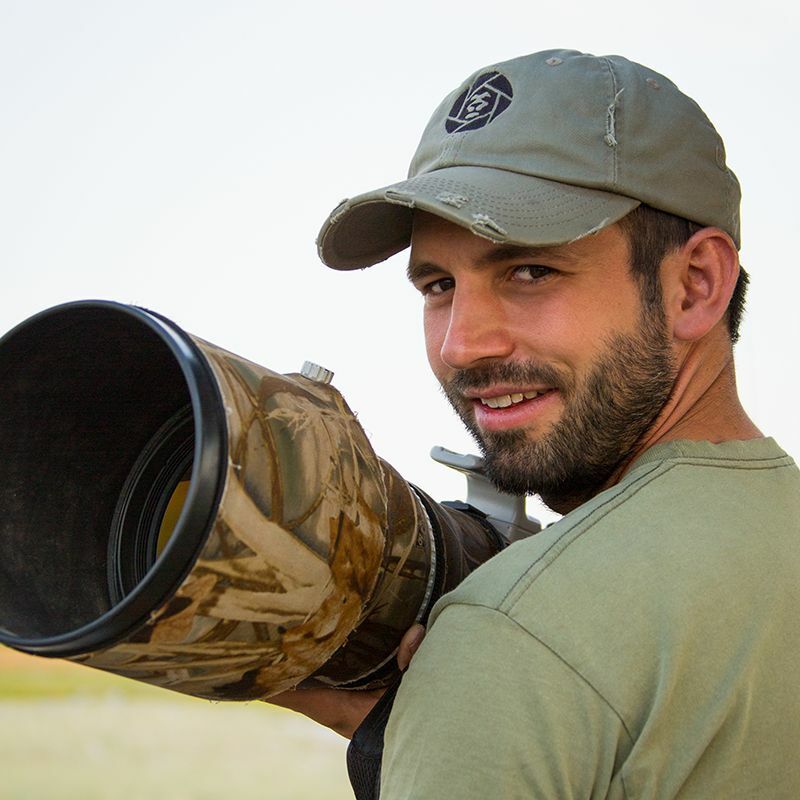 He is known for developing innovative approaches and technologies, such as remote-controlled buggy systems, for his cameras to capture fresh perspectives of shy, nocturnal, and potentially dangerous animals. among other outlets. 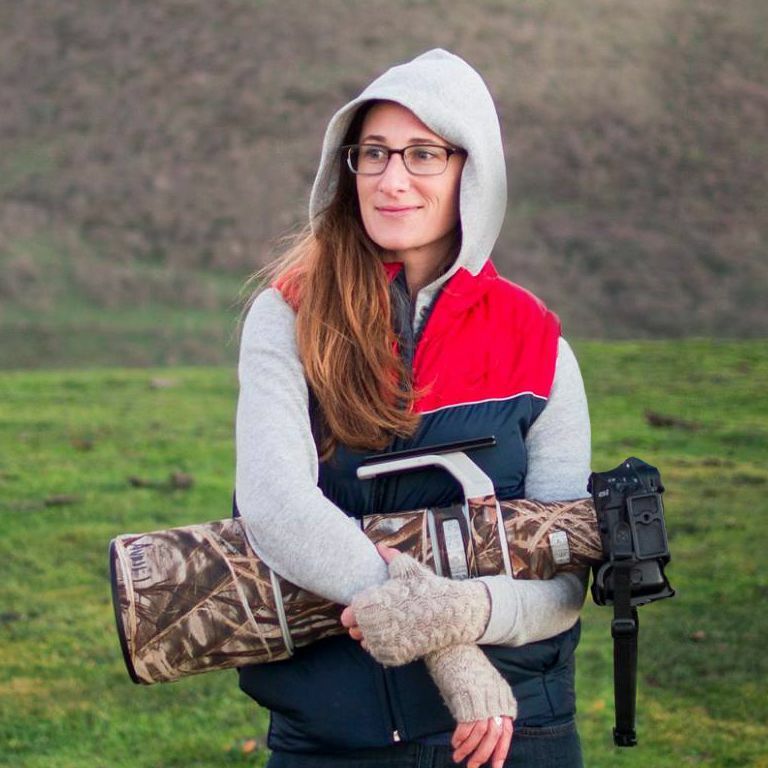 She is the founder of Urban Coyote Initiative, which uses the power of photography to advance science-based awareness of urban coyotes. A pack of wolves along Canada’s Pacific Coast have become seafood specialists. Tracking dogs and their Maasai handlers are helping to keep wildlife and people safe in northern Tanzania—and word is spreading.